Who wouldn`t dream about a perfect evening or a perfect night, about an unforgettable atmosphere to fuse with and live your story? StarShinerS evening dresses are especially designed for you, the one who is going to wear them. 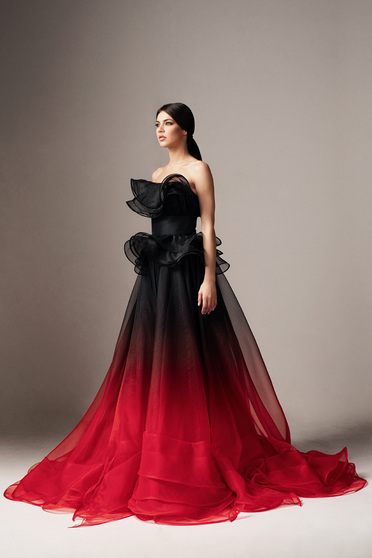 Choosing such a dress should be relaxing, pleasant, should create a connection or at least this is what our clients say: “It looked perfect, I saw it and knew it would be mine.” It`s like a relationship, you see it, you like it and fall in love with it and that`s how your story begins. An amazing story between you and your fabulous dress that will accompany you to all the special events. 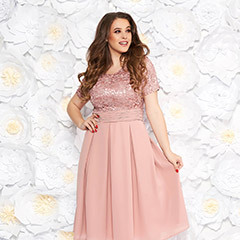 The first date dress, the first dinner dress, the first party together dress, the first cocktail in two, the first romantic date dress…We have them all, and we enjoy being close to you. Long dresses are perfect for gala parties, for events such as baptisms, weddings in locations that were attentively chosen. There are many aspects that we recommend you to take into account such as: your height, type of event, season and if you want to show your shoes. As regarding height, you should know that long dresses are more suitable for tall women, while short dresses are recommended if you are not very high. Finding the perfect evening dress may be a challenge. It has to suit you, it has to be trendy, on your own taste and on the other`s taste. The color is very important. This must be chosen taking into account the skin and hair color, the season, and the event you are going to take part to. Things are simple actually, if you chose to follow the next suggestions. Which are your favorites?